How ironic that a major upsurge in violence in Afghanistan has coincided with the death of Zbigniew Brzezinski, the viscerally anti-Russian Cold War warrior and architect of the US policy of backing jihadists in the country to 'bleed' the Soviet Union. Former Presidents George H.W. Bush and Jimmy Carter also paid generous tributes. 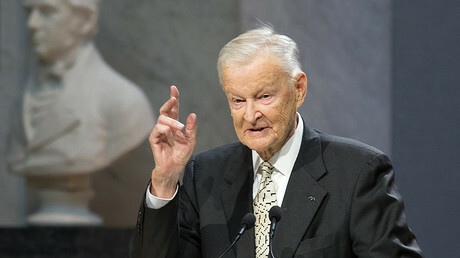 But while our condolences go out to Brzezinski’s family and friends at this difficult time, any objective assessment of what ‘Zbig’ actually achieved as US National Security Advisor would have to conclude that his influence was disastrous not just for the people of Afghanistan, but for the world as a whole. Put simply; the world would now be a much safer place if Brzezinski had used his considerable intellectual skills in pursuits other than global politics. Zbig's obsession in the late 1970s was with giving the Soviet Union their own Vietnam. 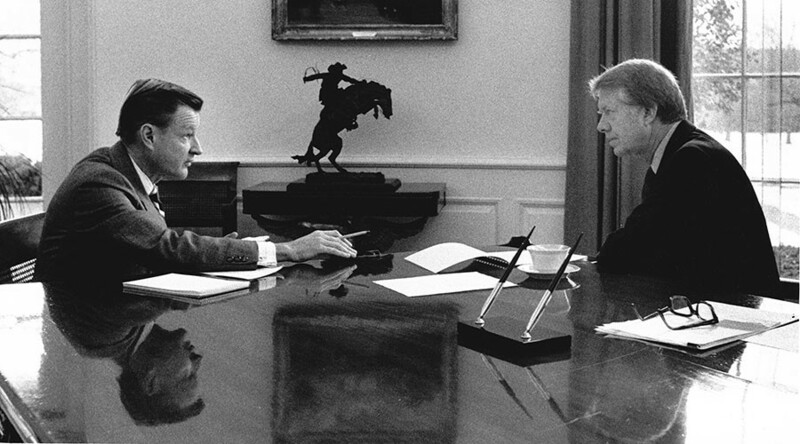 Appointed President Carter’s National Security Advisor in 1977 Brzezinski found himself at loggerheads with Secretary of State Cyrus Vance, a man of peace who genuinely wanted to strengthen detente with Moscow. Brzezinski’s anti-Soviet strategy was two-fold. 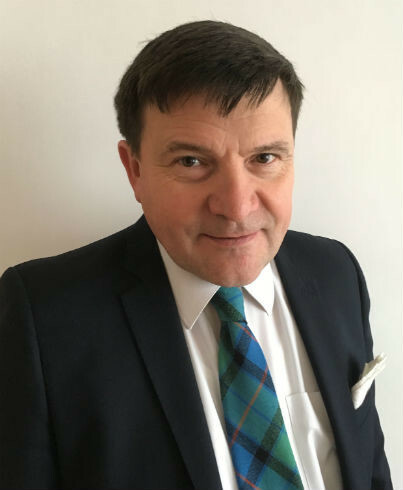 Firstly, to aggressively promote the issue of human rights, the so-called ‘third basket’ of the 1975 Helsinki Accords, as a means of destabilizing the eastern bloc. “Brzezinski recognized the political advantage to be had from the human rights issue, for it put pressure on the Soviet Union and rallied opposition to Moscow,” said Jeremy Isaacs and Taylor Downing in their book Cold War. But there was great hypocrisy at play here, as ‘Zbig’ was quite happy to work with governments whose human rights records were far worse than that of the Soviet Union’s to achieve his objectives. The second strand of his strategy was to try to entice the Kremlin to send troops into Afghanistan. 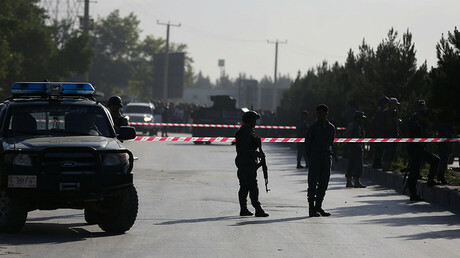 However, the government in Kabul was increasingly courted by the US and tempted with offers of aid. Daoud banned the communist People’s Democratic Party of Afghanistan and dismissed Soviet-trained army officers. The result was the so-called ‘Saur Revolution,’ which brought the pro-Soviet Nur Muhammad Taraki to power in April 1978. “The left-wing government initiated reforms of land ownership and encouraged women to join literacy classes alongside men,” record Isaacs and Downing. Hardline Islamic clerics weren’t too happy and religious opposition to the left-wing government grew. Brzezinski saw a great opportunity to back the anti-government Mujahedeen or ‘Soldiers of God.' It’s a commonly held, but erroneous view, that the US only started to support the fundamentalist ‘rebels’ after the Soviet tanks had rolled into Kabul at Christmas 1979. In fact, US financial assistance for anti-government forces had begun BEFORE the invasion- and was expressly designed to provoke a Soviet military response. In 1998 Brzezinski admitted that he had got President Carter to sign the first order for secret aid to ‘rebels’ in July 1979 a full five months before the Soviets intervened. “I wrote a note to the president in which I explained to him that in my opinion, this aid was going to induce a Soviet military intervention,” Brzezinski said. Even before that, US officials had been meeting with ‘rebel’ leaders. While in 1977 Zbig had set up the Nationalities Working Group - whose goal was to weaken the Soviet Union by stirring up ethnic and religious tensions. The Kremlin was faced with a terrible dilemma. It was damned if it did intervene to help the beleaguered Afghan government, and damned if it didn’t. There was a fear Islamic fundamentalism if prevailing in Afghanistan after the Islamic Revolution in Iran, could spread to the Soviet Union itself and on top of this NATO had agreed to site Pershing and Cruise missiles in Europe. But still the Kremlin, perhaps suspecting a trap was being set for them, was reluctant to commit ground troops. Taraki pleaded with Moscow for more assistance and visited the Kremlin in September 1979. But not long afterward Taraki himself was toppled (and killed by suffocation with pillows) with his Prime Minister Hafizullah Amin, taking over as president. Moscow believed that Amin was getting ready to pivot toward the west. The Kremlin finally decided to act, even though there was still opposition from within the Politburo. On 24th December 1979, Brzezinski got the Christmas present from ‘Santa’ Brezhnev that he had long wanted. “The day that the Soviets officially crossed the border, I wrote to President Carter, essentially: ‘We now have the opportunity of giving to the USSR its Vietnam War,'” he later admitted. Cyrus Vance urged a diplomatic solution, but unfortunately, Carter listened to Zbig. The national security advisor flew to Pakistan in early 1980 and posed, two years before the first Rambo film, for photographs holding a Chinese-made machine gun at the Khyber Pass. “Your cause is right, and God is on your side,” he told the assembled holy warriors. In 1982, Ronald Reagan even dedicated the Space Shuttle Columbia to the anti-government fighters. “The struggle of the Afghan people represents man’s highest aspiration for freedom,” the President declared. It wasn’t just Afghan ‘rebels’ who were fighting against the socialist government in Kabul. Encouraged and equipped by the US and their allies, between 25,000 and 80,000 fighters came in from other countries. Mikhail Gorbachev’s warnings about the dangers of Islamic fundamentalism and a hardliner takeover of Afghanistan having far-reaching global consequences went unheeded. The Taliban and Al-Qaeda grew out of the Mujahedeen and then many years later, the US led an invasion of Afghanistan to try and get rid of the Taliban. 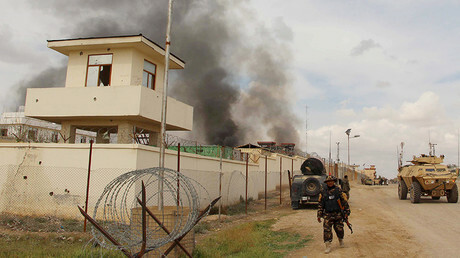 But the Taliban is still there (as is ISIS and Al-Qaeda) and has just launched a deadly new spring offensive. Will the Afghan 'graveyard of empires' be Donald Trump's last stand? Afghanistan has known nothing but war these last forty or so years and Brzezinski’s desire to give the Soviet Union “its Vietnam War” has an awful lot to do with it. Not only that but his strategy of backing jihadists to destabilize and help bring down secular, socialistic governments friendly to the Soviet Union or Russia has been copied in other countries, such as Libya and Syria with such devastating consequences nationally and internationally. In 2008 when he was asked again about his Afghanistan policies Brzezinski said “I would not hesitate to do it again.” When we look back at the disagreements in 1979 and 1980 between Zbig and the more cautious Cyrus Vance, who labeled Brzezinski “evil” time has surely shown us who was right and who was wrong. If only Vance and not the too-clever-by-half academic had prevailed.